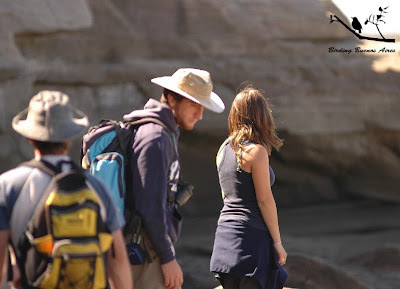 I am a field naturalist with a vast experience birding the area of Buenos Aires and North-East Patagonia. At present time I work as a freelance birdwatching tour guide in BA and surroundings, and as a tour guide at the Argentine Museum of Natural Sciences "Bernardino Rivadavia" (in Buenos Aires city). 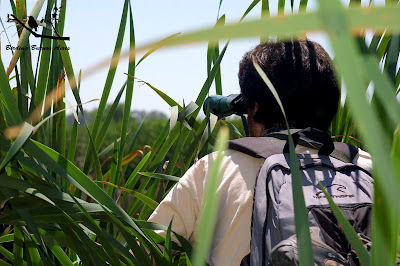 I believe in a responsible eco-tourism, observing nature without disturbing it, therefore I do not use play-back while birding but I do use all my skills to look for the species using just the sight and hearing, and it works very well. I also offer my help (for free) to anyone looking for information about birdwatching spots near Buenos Aires, and the best way to get there with a limited budget. Don't hesitate on contacting me (to the e-mail below) for consultation on this and birding tours in the area.